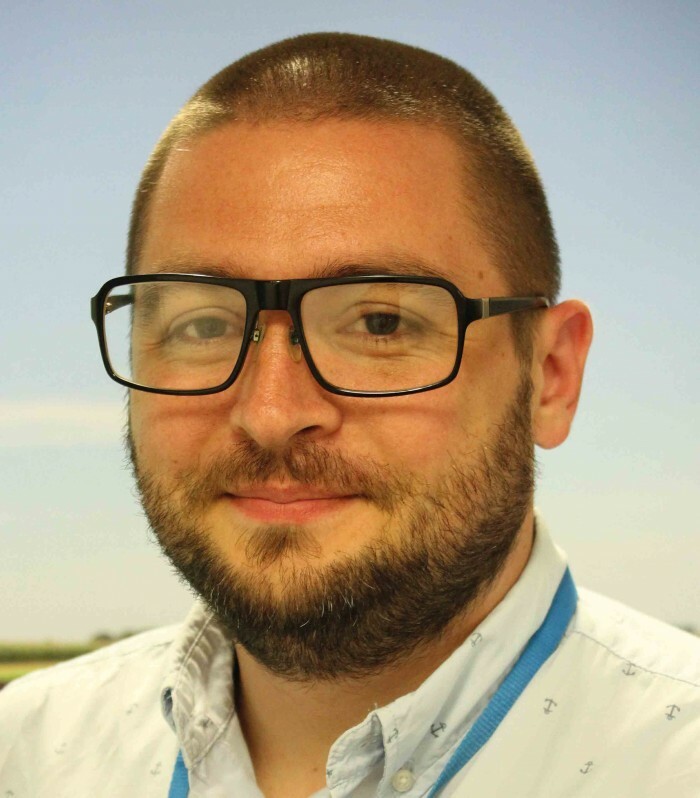 AHDB’s Ben Williams (pictured below) outlines how gathering and analysis of data delivers small gains for success. A range of exciting technology is available to help monitor and manage pig performance more accurately than ever before and precision livestock farming is already happening on numerous farms, both abroad and in the UK. So, AHDB is looking into what needs to be done to help make precision pig farming a practical – and profitable – reality for many more producers throughout the industry in the next few years. Ben Williams, knowledge transfer senior manager at AHDB, believes there are three key areas to investigate and link together: the equipment that automatically captures the information, the software that processes and presents it in a useful way and the skills and training of the people using the system to manage their pigs. AHDB’s ‘end-to-end’ project results, which were presented at this year’s Pig Fair and in June’s Pig World, showed that you can use DNA to trace a pig carcase at the abattoir right back to the sow that produced it. “This project involved 500 pigs from 60 sows, with every animal electronically tagged and monitored. The question is now how to bring auto data capture to the whole industry, up to 10 million pigs per year from 400,000 sows,” said Mr Williams. DNA traceability is ground-breaking, but what’s equally exciting is all the other detailed information that can be captured and shared throughout the supply chain. Production data can be very powerful – allowing producers to make confident decisions on how to fine tune or make major changes to improve pig management and performance. It also allows producers to see any problems emerging early and take action to correct them before there is too big an impact. “We currently do a lot of recording in the breeding herd but many herds simply don’t have enough detail on grower and finisher pig performance, so there’s potential for huge improvements in growth rates and to reduce variation among batches – ultimately to meet contract requirements and make higher margins,” Mr Williams said. “A key challenge we found during the end- to-end project, though, was that there is a lack of compatibility currently between different types of equipment and software. Also, we currently don’t know the exact value to producers of investing in electronic ID in order to justify the cost. At its most advanced and valuable level, producers can monitor and manage each individual pig using electronic ear tagging (EID), which allows areas of production improvement currently hidden by batch level data to be identified. Mr Williams added: “A pig will move through multiple stages of a production system including feeding, weighing and sorting systems. All of these systems currently have the ability to generate data, allowing key performance indicators (KPIs) to be benchmarked as a way of monitoring business performance. “Currently, many systems in place rely on human transcription and recording of data and it is often at batch level, meaning cohorts or batches of pigs will be analysed for weights, FCR and other KPIs, but individual animals less so. The potential benefit from gathering individual pig data is huge as, with increased pressure to reduce variability in a volatile market, producers are increasingly looking to maximise the efficiency of the production process. Producers who don’t go as far as EID can also gain much greater understanding of how their pigs are performing from systems that regularly monitor and manage pigs in groups, for example, in-pen weigh scales that are linked to automatic feed systems that feed each pen of pigs accordingly. The key to precision management is that the gathering and analysis of information is routine, whether hourly, daily, weekly or monthly. Every additional level of detail brings a benefit and, like the British cycling team, as is often referred to, it’s the attention to detail and the accumulation of many small gains that leads to success. Dutch farmer and EU PiG Ambassador Rick Bosgoed is saving 20% on the costs of starter pig feed alone by using smart technology to adjust the feed type and quantity to the weight of each pig in his new finisher building. The building houses 3,000 pigs, in groups of 375 which are managed with the Nedap Pig Sorting system, making the management of finisher pigs in large groups more efficient and more accurate. The system’s combined feed and sorting station weighs and identifies each individual pig via an in-built EID reader and automatically leads it to the right feed type or to the separation area. The system ensures that the heaviest 40% of the pigs receive growing-finishing feed, while the lightest 60% get starter feed. When this group reaches a specific weight, the feeding station will adjust automatically. The EID reader links up to software to provide Rick with ‘real time’ management information on screen. So he is able to feed his pigs optimally and deliver them to the slaughterhouse at exactly the right weight. Find more case studies from EU PiG Ambassadors on the EU PiG website. Christian Andersen, pig operations manager at Bedfordia Farms has a wet feeding system and typically achieves an average growth rate of 950g/day from 35kg to finishing. They weigh pens of pigs at weaning to get an average pen weight and again on the weigh bridge when they move from the weaning to finishing accommodation. Contact Ben Williams: 024 7647 8623 or 07741 628600, Ben.Williams@ ahdb.org.uk for more information.